July can be our warmest month but we can expect to get heavy rain and thunderstorms. During this month Dragonfly and Damselflies should be around, when depends on how warm the weather is. Usually first to appear are Damselflies, the Large Red and Common Blue are often the first to be seen. 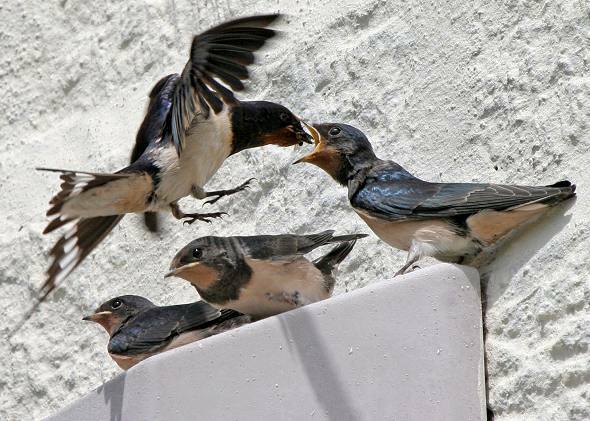 Birds have been busy rearing their young most of them will have left the nest by now. Early in the month some of the flowers you can see are Foxgloves, Birds-foot-trefoil, Dog-rose and Yellow Iris, later in the month Common Spotted Orchid and Heather. Bilberry will be ripenenig and ready to pick at early in the month. July 2nd 2009: Bilberries are ripe on Haworth moor. July 13th 2009: Bog Asphodel beginning to flower at Penistone. "Another lovely clear colourful day on the moors. Just now the streams and glens are a perfect glow of flowers ferns and mosses. Foxgloves, Lady's Fern, Wild roses, Honeysuckle, Red Campion, Ragged Robin, Musk (scentless) Branched Bur-reed (not in bloom) but plentiful about Ponden and down the Worth to Ponden Brig, Heath Bedstraw, Mud Crowfoot, Water Stitchwort, Water Blinks." Plezent weather an fine long days - A hint fer yo to ta mend yur ways. Hot wether cums an' now the skies are clear, By daylite reap the produce of the year. 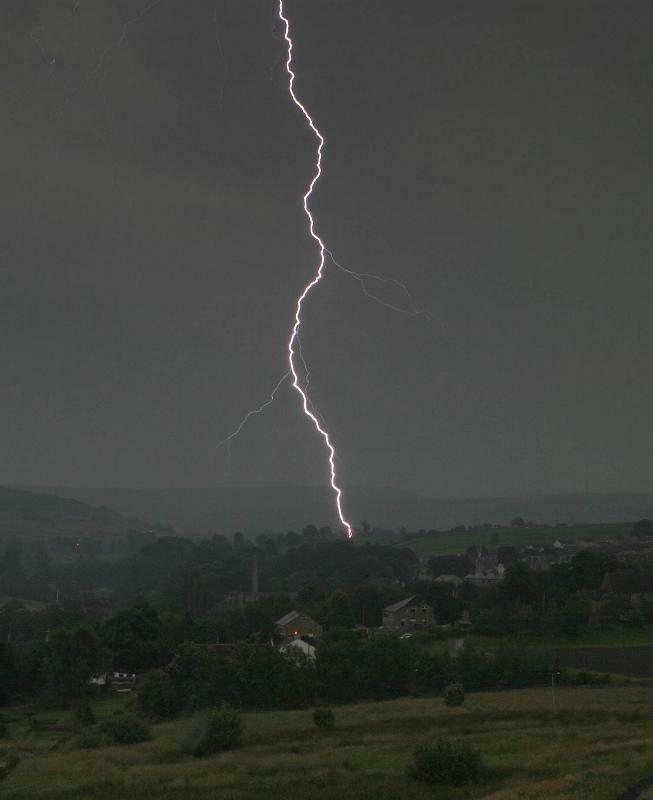 If you have any dates, information about weather or observations about nature, stories or folklore relating to this month contact us and if suitable will add to the page - please local to Haworth and the surrounding area only.